Television commercials, online ads, email blasts and pitchmen of all kinds extol the financial benefits of investing in currencies – known as foreign exchange. When presented with such awesome opportunities to make vast sums of money, it’s easy to be tempted. However, forex markets are the playground of the ultimate institutional big dogs. Currency pairs trade against each other as huge government and financial funds buy and sell currencies to balance or hedge their institutional currency exposures. The forex market is a 24-hour, rapidly changing marketplace that challenges even the pros. 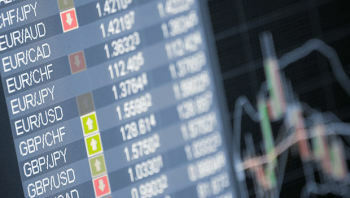 Investment returns in currency trading can range from significant losses to significant profits. The best way to view your chances of making money on currency investing is to look at the professionals. Consider the returns on the top-performing managed currency funds, as reported in September, 2018 when the Dow Jones Industrial Average was making new historical highs: Barclays Currency Trader Index has tracked a selection of currency funds with consistent top performance over the past thirty years. Trading success can be as much to with following trading and market timing strategies as to individual skill. Since the start, the annualized gain reported was 6.4 percent. These profits may not sound very exciting unless you are investing huge capital or using a lot of leverage. In fact, if you had invested $10,000 in a run of the mill corporate bond fund at the start 2014, your investment would be worth more than $15,000 at the end of 2018. That is an annualized total return of over 9 percent in a relatively low-risk investment. If you had invested in a fund that tracks the Dow Jones, over the same period you might have achieved a total return of nearly 60 percent. The study (see here) also concluded that profits were the result of currency market volatility, global interest rate volatility, and taking advantage of currency market anomalies. 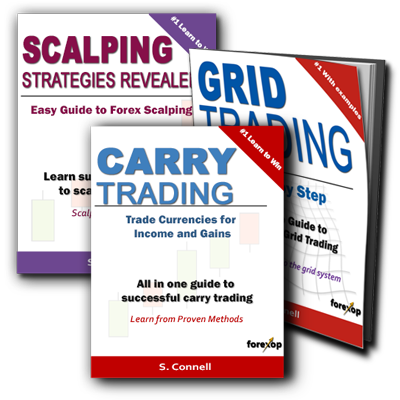 Trading success was attributed as much to following trading and market timing strategies as it was to the individual style of the professional trader — of course, not all professional traders were profitable. The U.S. Commodity Futures Trading Commission warns that individual investors should be wary of claims that portray forex trading as easy and profitable (see the full report). In terms of dollar volume, forex markets are among the largest trading markets and are extremely active. They are also dominated by professional traders at big banks, corporations and government funds but, unlike the stock and bond markets, they are not traded on an exchange, so investors do not have the protection provided by exchange rules, arbitration and clearing houses. Nevertheless, trading volume from retail investment accounts grew to a daily volume of $125 billion in 2010 from $10 billion in 2001. Although continuing to grow, retail currency trading still accounts for less than 5 percent of global currency trading volume. Consider alternatives to directly investing in currencies if you don’t feel you can compete against professional currency traders, or want to maintain your portfolio vigilance 24 hours a day, every day. Keeping a portion of your assets in currencies as a way to hedge your portfolio can be done through investments in professionally managed mutual funds, exchange traded funds or exchange traded notes issued by banks. If you own mutual funds that invest in foreign securities, your portfolio is already involved in currency-influenced investments.